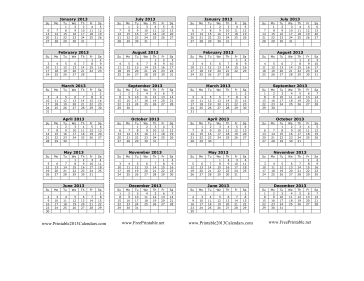 This printable bookmark size calendar is designed to be cut out and folded to create a conveniently sized calendar for reading. With lamination, this calendar will last all year. Two bookmarks with columns of months are included per page. It and is available in PDF or customizable DOC format. Free to download and print.